With the support of our adept professionals and their expertise in this domain, we offer consultancy services for Solar Lighting & Heating System. We make sure that the services are at par with the industry standards and cater to the requirements of our clients. Our experts interact with the clients to understand their needs and offer services accordingly. 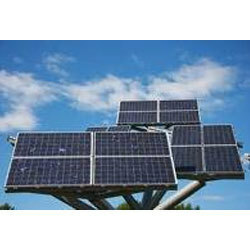 Shadow Energy presents wide range of Solar lighting products which are designed by using creative and innovative ideas. These products are designed to work throughout the night with least energy consumption. We are among the eminent organization, betrothed in providing Off Grid Solar Solution Service. All these services are precisely accomplished by experts, who have huge understanding in this arena. Presented service is highly commended by clients for their economical rate and timely completion. We are recognized by the clients for providing Solar Home Lighting Maintenance Service.